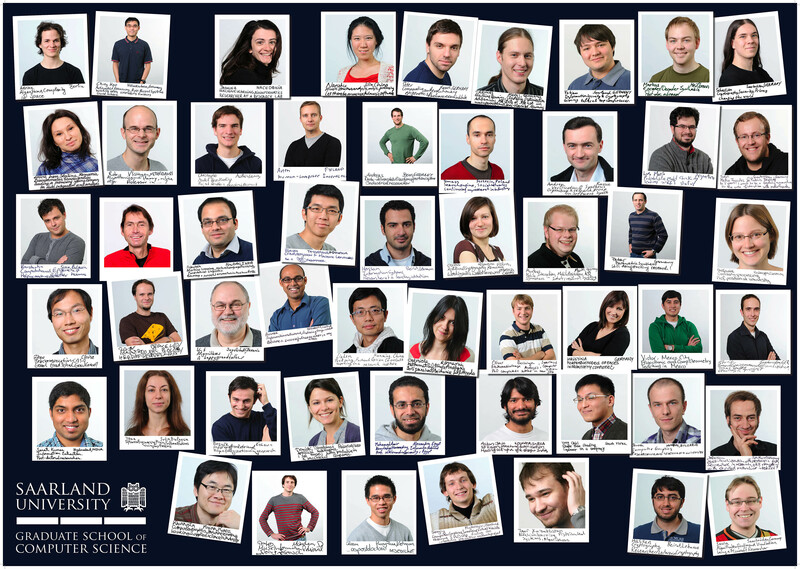 Our doctoral students are talented women and men from all over the world. 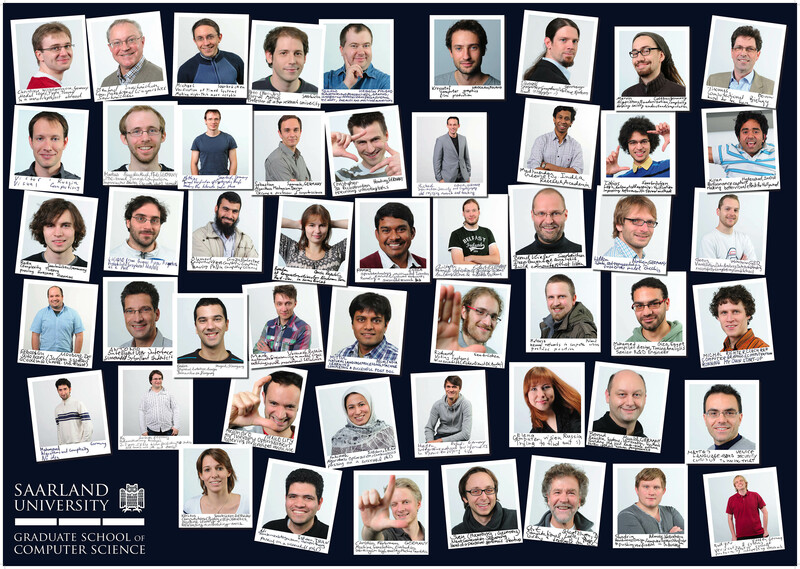 If you have a strong interest in computer science research and are about to finish a very good Masters or an excellent Bachelor’s degree in this field, Saarbrücken is your place to be! This page is still under development. It is meant to represent all our doctoral students. 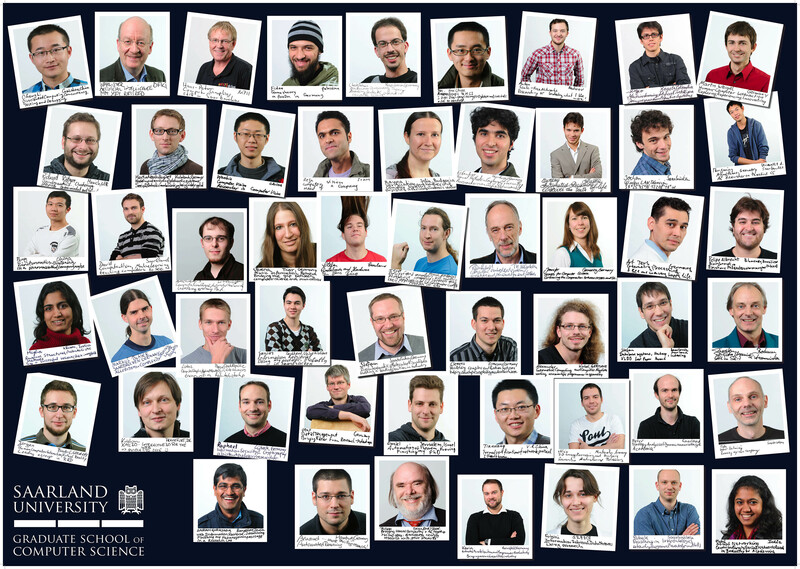 Currently, we have over 340 PhD candidates, about 70 in the preparatory phase and over 270 in the dissertation phase. In the fall of 2011, we were able to get more than 260 of our members (students and advisors) to participate in a spontaneous photo shooting on a single day. 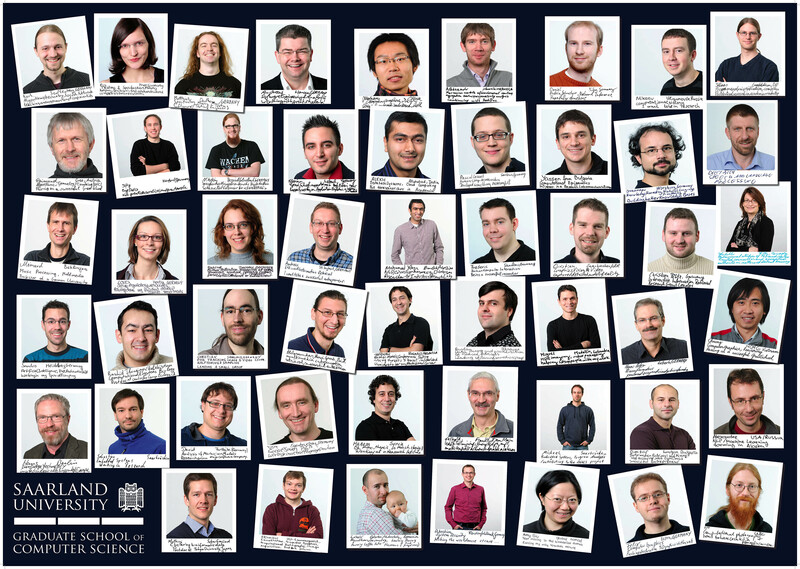 To get an idea of who we are, you can have a look at the resulting composite posters. 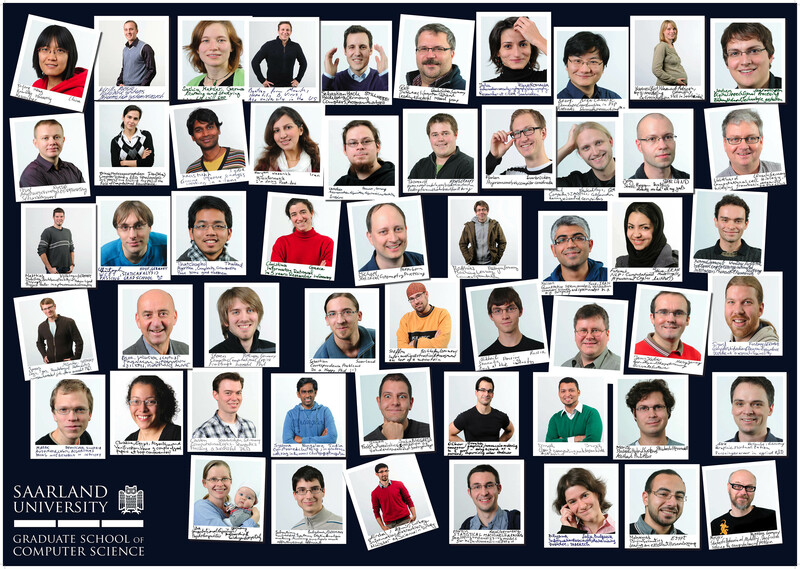 Over 50% of our doctoral students come from outside Germany! Please follow the link to find the list of upcoming and past defense colloquia.